On Monday 31st December 2018, the world renowned famous bollywood actor Kadar Khan left this world. ILWIIR. Who was Kadar Khan? Kadar Khan was the son of Moulana Abdur Rahman Saheb who lived with his family in the famous Santacruz suburb of Mumbai India. His house was opposite the Battiwalas, more commonly known today as the Falahis. Husain Ali Battiwala and his wife had 3 sons who all belonged to the Aga Khani Ismaili Khoja sect. Kadar Khan’s father Moulana Abdur Rahman was a very regular visitor and always preached the true Hanafi Sunni Islamic teachings to Husain Ali Battiwala. Hazrat Moulana made so much effort that Almighty Allah accepted his efforts which resulted in all the Battiwalas reverting to the real Hanafi Sunni Islam. Subhan Allah, what an achievement. Today all three sons of Husain Ali are involved in religious activities. The eldest Mufti Mohammad Ali Falahi is the Imam and Khateeb of Masjid e Anisul Islam in Blackburn UK. Mufti Saheb is gifted with the power of speech. The second eldest Qari Ahmed Ali Falahi runs a number of institutes in India and is blessed with a wonderful recitation of the Holy Quraan and also eloquent speech. The youngest Moulana Huzaifah is also involved in religious activities. Mufti Mohammad Ali Falahi narrates that he remembers the days when he and his brothers would come to Mumbai from Tadkeshwar and Moulana Abdur Rahman would shower them with precious advice. He would always encourage them to study and learn as much as possible. Mufti Falahi recalls a number of Jumaah bayans delivered by Moulana Abdur Rahman in the Jameah Masjid of Santacruz in Mumbai. His bayans were very touching and emotional. He was a very simple person who always dressed in white and was always inviting people to the Masjid and encouraging them towards religious activities. One day, in the Jumaah bayan, with tears in his eyes, Moulana Abdur Rahman said that when Almighty Allah questions me on the Day of Judgement - that Abdur Rahman what have you brought forth - I will respond by saying I have brought Husain Ali Battiwala. Allahu Akbar. What a great person he was. One of the most humble requests he made to all was to pray for his children to receive right guidance. He himself prayed night and day for the right guidance of his children. Later on in life, Moulana Abdur Rahman moved to Holland which was to become his final abode, and that was where he passed away. ILWIIR. However, before departing from this temporary world, he called his son Kadar Khan and left him with some words of wisdom. He very strongly advised his son to use his talent and capability for religious purposes and advancing the religion of Islam. Moulana Abdur Rahman was very passionate about this. The father’s constant duas for his son finally paid off and towards the end of his life, Kadar Khan was a changed person. Kadar Khan himself narrated the story in an interview that before passing away, my father called me and gave me his final instructions and advice. My father’s words hit my heart and there and then I made a firm intention of fulfilling my father’s final wishes. Kadar Khan’s life took a massive turn. The same Kadar Khan who was once associated with Bollywood; who had reached the peak of his career; who had thousands of fans all across the globe, was the same Kadar Khan who now enrolled at the Osmaniya University in Hyderabad and completed his MA in Arabic and Islamic Studies. Subhan Allah. Kadar Khan now set off across the globe teaching the Holy Quraan and lecturing on Islam. He set up the Kadar Khan Institute which opened up nurseries and postgraduate Islamic Centres in many countries. Kadar Khan also had the Ahadith of our Holy Prophet SAW translated into Hindi and Urdu. Such was the effect of the father’s duas and wishes for his son. Finally, the time arrived when Kadar Khan fell ill. His illness lasted a very long time. On many occasions during his illness, he would remember his father’s final words and advice. He would always thank his father for the efforts he made to bring him on to the right path. This long-term illness finally became the means of this servant of Allah returning to his Lord. Kadar Khan breathed his last on Monday 31st December 2018 and returned to his Creator. ILWIR. 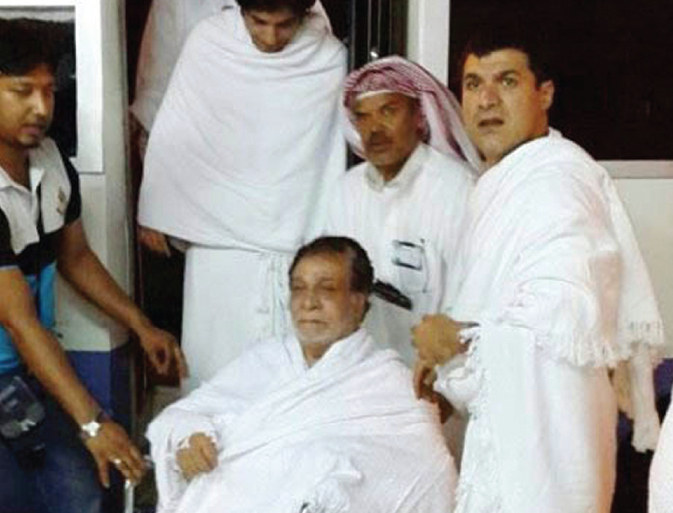 May the Almighty forgive all of Kadar Khan’s shortcomings and replace them with good deeds, Ameen. May the Almighty convert the resting places of Kadar Khan, his father Moulana Abdur Rahman and all marhumeen into Gardens of Jannatul Firdaus, Ameen. Kadar Khan and his father Moulana Abdur Rahman’s legacy will live on until the Day of Judgement IA.